Ken McCoy (Orlando-Daytona Beach, FL, United States) on 12 May 2007 in Sport & Recreation. A storm off the coast always makes the surfers happy. Well done professor! Did you have all this smoke over there??? @Jerry: Yes, we did. All Florida's on fire. Looks like the middle of winter, but he's a die-hard! I think it looks like a stormy day in winter now. Nice one! Great processing. I like what you did with the color. Not sure why you tweeked the sky. Was it to limit grain? @Craiger: No, it was just for kicks, really. 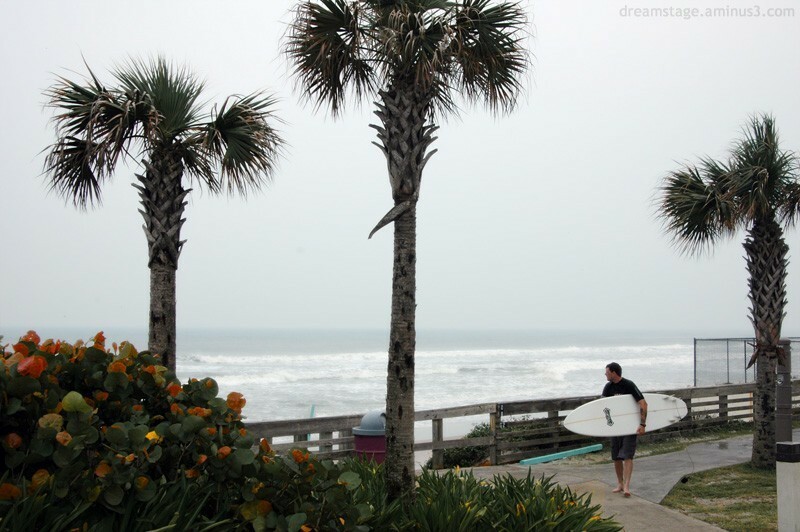 The surf and sky was very dirty grey from all the wildfires and the storm off shore - and so rather drab. The picture really conveys the message.